One of the main concerns of Mauricio Klabin was to inspire a feeling of wellbeing and protection or, more precisely, to give us this sensation of being taken in someone's arms..
His work is characterized by the absence of salient angles, complex requirements or complicated instructions of use. His projects are at the same time simple and direct. But, much more than that, he chooses to create objects which contain and cocoon. 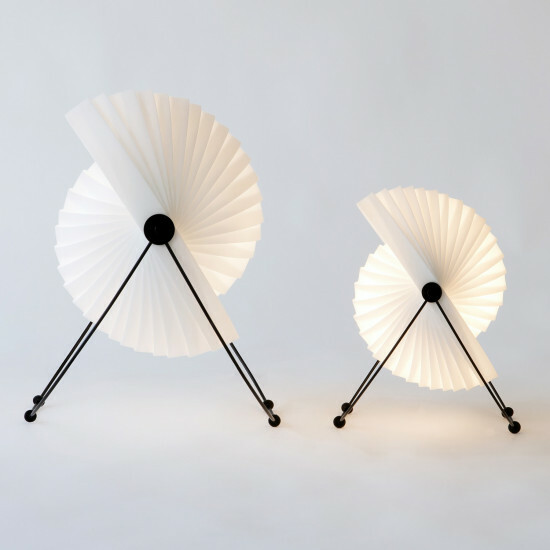 The Eclipse lamp is a revealing example of his conception of design. Mauricio Klabin also fought to impose the idea that design had to be accessible to everybody. Regarding this lamp, he said "I think that the creation of a designer must be of a good quality, beautiful and cheap. With the Eclipse lamp I surpassed the trauma of expensive design. This lamp was ready many years before I produce it in series. I had the idea but wished to launch it only when it was possible to manufacture it in series, at a low cost. Design must be accessible by the greatest majority among us. I do not think that it is neither good nor even appropriate to create objects for only a half dozen of people. I need that popular objects to exist".